London’s left-wingers recently rolled out the red-carpet for Hugo Chávez; no matter that the populist leader has been a disaster for Venezuela’s poor. Summary: Venezuela President Hugo Chávez is a hero to the international left. It loves his combative anti-Americanism and diatribes against neoliberalism and globalization. There are some messy details it ignores and that the mainstream media underreports: Poverty, corruption, and crime have gotten significantly worse under Chávez. In Latin America, Chávez’s popularity is waning as many see his agenda driven by a desire for power – not a genuine concern for the region and his fellow Venezuelans. Will his admirers continue to ignore reality? Chávez and his entourage arrived in style aboard the presidential Airbus 319 – purchased a few years into his first term, amid considerable controversy. It wasn’t an official visit for the self-proclaimed “socialist” who favors designer suits and Cartier watches. 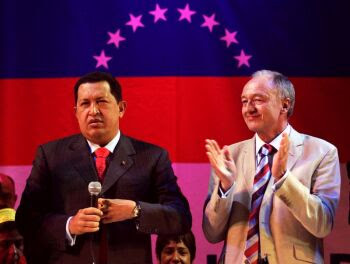 Chávez’s host was London Mayor Ken Livingstone, 60, known informally as "Red Ken." With Livingstone at his elbow, the 51-year-old Chávez reportedly got a “hero’s welcome” at one rally. At private functions, the man who once called himself a “Maoist” and praised Cuba’s “sea of happiness” hobnobbed with like-minded Parliamentarians and celebrities. The later included virulent anti-American playwright and Nobel laureate Harold Pinter and activist Bianca Jagger, former wife of Rolling Stone Mick Jagger. Prime Minister Tony Blair, whom Chávez has compared to Hitler for supporting the war in Iraq, was nowhere in sight. Chávez gets the rock-star treatment from the anti-American left that traditionally was showered on his 79-year-old mentor, Cuba’s president-for-life, Fidel Castro. It adores his frequent harangues of President Bush, his vaunted “social programs” for Venezuela’s poor, and his impassioned call for a Latin American free of Washington’s influence, and united under his so-called “Bolivarian Revolution” – named after Latin America’s liberation hero, Simón Bolívar. Chávez’s admirers love the way he upstages Western leaders at international summits. They snicker when he announces he’ll provide subsidized heating oil to low-income Americans and Europeans. In their minds, it’s a well-aimed slap at immoral Western capitalism; no matter that Venezuela’s oil is the patrimony of Venezuelans, most of whom are poor. For Chávez and his rabid supporters, however, this misses the big picture. It’s perfectly legitimate to use oil wealth to buy influence and form anti-Washington alliances. So what if there are fewer petrodollars for Venezuelans. For Chávez, oil and radical politics go hand in hand. At the recent OPEC summit in Caracas, for instance, the former paratrooper launched into a trademark rant against America and the West, during which he mentioned his “good friend” Ilich Ramírez Sánchez, 56 -- the notorious Venezuela-born terrorist known as “Carlos the Jackal,” who is serving a life sentence in France. Early into his presidency, Chávez wrote a letter of “solidarity” to the imprisoned “Carlos” whom he addressed as "Dear compatriot." The anti-American left’s romance with Chávez is like many imperfect romances: messy details about a person’s true nature are easily overlooked. His supporters blithely ignore three colossal failures: Poverty, crime, and corruption have worsened considerably on Chávez’s watch. For any self-respecting socialist (a term, incidentally, Chávez started applying to himself a few years ago) this ought to be a source of major shame, something many Venezuela observers have noted. Venezuela’s quality-of-life benchmarks, after all, plummeted despite Chávez’s vaunted “social programs” and – most significantly – despite record-high oil prices that traditionally lifted the oil-dependent economy, as dysfunctional as it had been. Ken Livingstone and his soul mates may be unconcerned. They may give Chávez a pass on his many rights abuses against political opponents, the news media, civic organizations, and democratic institutions – thoroughly documented by groups such as Human Rights Watch and Amnesty International. But like it or not, Chávez’s misgovernance has been a major betrayal of 26 million Venezuelans. Nearly eight years ago, a significant majority of the poor and dwindling middle-class voted for Chávez, a political outsider. They trusted him to reverse decades of declining living standards – all rightly blamed on a democratic government hobbled by years of corruption, inept policies, and irresponsible political parties. Venezuela’s leaders had ruled – or misruled – a statist economy through the 1970’s oil-boom days of “Saudi Venezuela” and into the lean years of plummeting oil prices; years characterized by falling government revenues, currency crashes, and soaring inflation. Poverty in the oil-dependent economy soared from 30 percent to at least 60 percent by the late 1990s; private economists put it at 80 percent. In Venezuela and other developing countries, oil wealth has been a curse in part because government leaders rely on petrodollars for most funding – not taxpayers who demand accountability from them. Desperate for change, many Venezuelans set aside deep concerns about Chávez’s past; that he’d staged a bloody and failed military coup in 1992 as an army lieutenant colonel. But Chávez’s leadership was as inept as during his disorganized coup. Once in office he used his overwhelming popularity to rewrite Venezuela’s constitution and consolidate his power in an already centralized state. The resulting loss of checks and balances, however imperfect they’d been, opened the gates to epic levels of corruption and waste. So much for “revolutionary” idealism in a country that Chávez renamed Bolivarian Republic of Venezuela. Under Chávez’s revolution, poverty has increased at least nine percent. Chávez has disputed these official statistics, to be sure; so he had Venezuela’s National Statistics Institute change its methodology, which give him the numbers he wanted. The new statistics failed to convince private economists and increasing numbers of Venezuelans, including many former Chávez allies: fellow leftists who now oppose him. In respect to corruption, Berlin-based corruption watchdog Transparency International recently ranked Venezuela a dismal 130 out of 159 countries in its annual survey on perceptions of corruption. This put it below countries such as Russia, Niger, and Sierra Leone. Venezuela “was one of a dozen countries where more than half of respondents said this (corruption) had 'greatly' increased,” noted The Economist. That Venezuela’s corruption deepened is ironic. Chávez evoked his outrage over corruption when justifying his coup against President Carlos Andrés Pérez. Responding to Transparency’s report, Vice President José Vicente Rangel, 76, called the corruption watchdog “a mercenary organization at the service of powerful transnational interests.” It was an expected response from Rangel, a three-time failed presidential candidate on Venezuela’s communist party ticket in the 1970s and 80s. In Venezuela, blaming others for individual and collective failures is not uncommon; and it’s been a defining feature of Chávez’s administration. One example of Chávez's questionable spending was his purchase of a $65 million Airbus, reportedly the most modern presidential jet in Latin America. Many Venezuelans were outraged. The Airbus replaced the presidential Boeing 707 and corporate jets. They’d been good enough for past presidents, whom Chávez mercilessly derided for corruption. Rafael Caldera, the previous president, even took a commercial airliner to Europe when Venezuela’s economy slipped into one of its regular tailspins. But for Chávez, who made 41 international trips during his first 21 months in office, the Airbus obviously had advantages, even for a socialist. What happened to the presidential Boeing 707? Chávez loaned it to his leftist soul mate: Bolivian President Evo Morales, a populist and former coca farmer. Then there’s runaway crime, traditionally a top concern of Venezuelans. Under Chávez, an already horrific murder rate doubled. There were 9,402 reported murders last year – about 25 per day or the equivalent of one suicide bombing in Iraq, whose population is about the same size as Venezuela’s. Most victims are poor. Venezuela, boasts Global Exchange’s web site, “is at the center of a new, progressive model of socioeconomic development that is shaping Latin America’s future.” “Reality tourists” visit grim hillside slums ringing Caracas and listen to Chávez loyalists praise Venezuela’s socialism. The mainstream media, to be sure, has given Chávez a bit of a pass as well. It has yet to cover Venezuela like Iraq – spinning nearly every story around a suicide bombing or negative trend, supposedly for the sake of “balance” and “context.” In Venezuela, such context is often missing. Chávez’s popularity in Venezuela, to be sure, has declined over the past seven years, including among the poor. But he’s maintained sufficient support to remain politically viable. No matter that he’s failed to diversify the economy, attract investment, and create jobs. No matter that his poverty-reduction efforts are in reality a patchwork of social initiatives – subsidized markets, housing, and education – that form no coherent program. As one Venezuelan poverty expert put it, it’s “social theater.” Why do the poor still support him? Chávez speaks directly to them and gives them hope, something previous leaders never did. Ken Livingstone and others may be unconcerned by such contradictions – so bedazzled are they by Chávez’s anti-Americanism. But in Latin America, increasing numbers of political leaders and ordinary people are losing patience with Chávez – including leftists who refuse to define themselves by their anti-Americanism. In Mexico and Peru recently, Chávez’s trademark insults aimed at conservative presidential candidates helped to reverse the leads of left-leaning candidates he favored. One poll cited by The Economist showed only 17 percent of Peruvians viewed Chávez favorably. Peru recalled its ambassador from Caracas, citing Chávez’s meddling in its elections. And then there was Sunday’s landslide relection of Colombia’s center-right President Álvaro Uribe, a close Washington alley. Chávez had criticized the 53-year-old Uribe’s ties with Washington. He supported his leftist rivals. But voters were impressed by two things that neighboring Venezuela hasn't seen in years: improved security and the strongest economic growth in a decade. The election is widely seen as a setback for Chávez. The region’s political leaders, for their part, are growing increasingly annoyed at Chávez’s demands that they support his anti-Washington alliances. This includes Chávez’s answer to Washington’s Free Trade Area of the Americas – named the Bolivarian Alternative for the Americas (whose three members to date are Venezuela, Cuba, and Bolivia). Brazil President Luiz Inácio Lula da Silva, a leftist, surely fumed when Bolivia’s Morales, encouraged by Chávez and Castro, nationalized natural gas fields in which Brazil’s Petrobras had a major stake. Brazil and Argentina are major consumers of Bolivia’s gas. "Chávez has been saying, in effect, 'You're either with us or against us,'” Michael Shifter, a senior policy analyst at the Inter-American Dialogue policy group in Washington, told The New York Times. “For most Latin Americans that hubristic message doesn't go over very well, whether it comes from Washington or Caracas." So much for claims that Chávez is uniting Latin America’s leftists. Many need no “reality tour” to understand that Chávez is not the modern and positive force portrayed by Livingstone and his fellow travelers. They see him as a reactionary one – rooted in old-style populists such as Argentina’s former president, Juan Perón. To them Chávez’s leftist populism is irresponsible, nationalistic, and authoritarian; it’s “much more interested in policy as an instrument for attaining and conserving power than in power as a tool for making policy,” observed Mexico’s former foreign minister, Jorge G. Castañeda, writing in the current Foreign Affairs. “Chávez is not Castro; he is Perón with oil. Morales is not an indigenous Che; he is a skillful and irresponsible populist,” Castañeda concluded. Don’t bother telling that to Livingstone and his friends. Just as their counterparts of another era idealized Stalin, Mao, and Castro, they give Chávez the red-carpet treatment no matter what. For them ideology trumps all else – even if ordinary voters reject that ideology. Author’s Note: I revised this piece since posting it. To provide a bit more context to my main points, I added a few additional sentences and paragraphs. This includes a paragraph about Colombia’s presidential election last Sunday and another describing visits made by Chávez’s admirers to Venezuela. There were no factual changes. Details about The Christian Science Monitor’s relationship with Jill Carroll have been sketchy in the past. 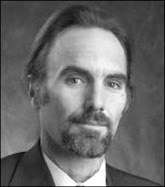 But a recent exchange of e-mails I had with a Baghdad-based staffer reporter for The Monitor, Dan Murphy, has shed new light on how The Monitor used -- or perhaps misused -- Carroll. The mainstream media loves to excoriate Wal-Mart for a variety of alleged sins -- paltry wages, skimpy benefits and, horror of horrors: big profits. This fixation is hypocritical, however, when one considers how some in the mainstream media treat their own employees. Jill Carroll is a case in point. Carroll, of course, was the freelance reporter on assignment for The Christian Science Monitor when she was kidnapped last January 7th, while being driven to an interview in one of Baghdad's Sunni Arab neighborhoods. Her translator, Allan Enwiyah, was shot to death. Details about The Christian Science Monitor’s relationship with Carroll have been sketchy in the past. But a recent exchange of e-mails I had with a Baghdad-based staffer reporter for The Monitor, Dan Murphy, has shed new light on how The Monitor used - or perhaps misused - Carroll. Originally, Murphy contacted me to protest a single paragraph in my Carroll story. It claimed that Carroll, as a Monitor freelancer, would have enjoyed none of the same benefits as a staff reporter at the paper - although, to be sure, it noted Carroll was apparently not treated as a typical freelancer. Murphy set the record straight. Carroll in fact enjoyed a highly unusual situation with The Monitor. She was given the same benefits as a staff reporter, such as insurance and a room in The Monitor’s rented hotel facilities, according to Murphy. However, she was paid as a freelancer. In other words, she got paid per article. How much? Murphy wouldn’t say. But the late Steven Vincent, the gifted freelance journalist and author of “In the Red Zone,” wrote three Monitor articles and earned $300 apiece “if I remember rightly,” said his widow, Lisa Ramaci-Vincent, in an e-mail to me. As any journalist knows who has worked abroad, it’s not easy writing the kinds of multi-source stories the Monitor likes from a place like Iraq - where one faces irregular phone service, frequent electrical outages, traffic gridlock, and roving kidnappers. According to a Factiva search, Carroll produced about one Monitor article every three to five days, starting with her first piece on February 17, 2005. She also continued to occasionally freelance for other papers, including the Chicago Sun-Times and USA Today. Those interested in media trends should note that The Monitor apparently pioneered a new type of employment model in respect to Carroll - an innovation I’ll bet not even Wal-Mart has tried. Normally, one has to be on a company’s full-time payroll to get benefits of any kind, but exceptions were made for Jill Carroll. One can speculate as to why The Monitor did this. I suspect it was straight forward. It simply didn’t want to spend the money for a staff writer (I’d presume $42,000 to $55,000 per year), but it did have a need for extra copy. An accomplished journalist like Carroll, churning out about one story a week, would work just fine on a freelance basis. There’s no denying it was decent of The Monitor to offer Carroll the same benefits as a staff writer. In doing this, her editors were no doubt aware that Iraq had simply gotten too dangerous to allow Carroll to live on her own, as she’d done for at least one year in Iraq. And what a year it was for her: a hardscrabble life of budget hotels, irregular paychecks, and growing danger – all of which she described in a colorful article for last year’s February/March American Journalism Review: "Letter from Baghdad: What a Way to Make a Living." Days after Carroll’s release, The Monitor announced it had quietly added Carroll to its reporting staff, shortly after her kidnapping. This, Murphy said, was to ensure she had a financial “cushion” after her release. The Monitor waited until after her release to publicize this, he explained, because of concerns that revealing this while she was in captivity would jeopardize her situation with her kidnappers. This all sounds logical, and it was very nice of The Monitor to do. But I can’t help but think that a sense of shame also motivated The Monitor; that its editors had to do something like this to avoid the shaming they otherwise were sure to face. Certainly, Carroll would not have had a huge “cushion” at the end of her freelance gig with The Monitor - but that issue was one with which her editors had never apparently troubled themselves. There’s no doubting that freelancing can be tough, as Carroll noted in American Journalism Review. That’s why few journalists enjoy it for very long; most hope to eventually land a full-time job. I assume this was the case with Carroll. Going to Iraq, in part, was probably a way for her to jumpstart her career after she got laid off from her reporter assistant job at The Wall Street Journal. It was nice to see Carroll finally got what she must have wanted: a staff position on a decent paper. It’s unfortunate she got it by suffering a brutal kidnapping and then living for the next three months with the possibility that she could, at any moment, suffer the same fate as her translator. On a related front, The Monitor has yet to address another issue: What might it have done differently to have kept Carroll and her translator out of harm’s way? Unlike most American news organizations in Baghdad, The Monitor reportedly had no Western security consultant. Would it have made a difference? Did Carroll or any of her colleagues undergo hostile-environment training? We’ll probably never know. The media, after all, is not that good at investigating itself. An emotional letter from a young Israeli physician who treated victims of the April 17th suicide bombing in Tel Aviv is remarkable for what it lacks: a sense of hatred. Dr. Ory Wiesel’s letter provides a viewpoint that the mainstream media either overlooks or reduces to pithy quotes and sound bites. Dr. Ory Wiesel headed to his regular shift at a Tel Aviv emergency room with a mundane concern – to avoid being late. But hours after he arrived, he and other emergency-room workers were struggling to save scores of victims from the April 17th suicide bombing outside a falafel restaurant. Bur for the story behind the story, there’s Dr. Wiesel. Not long after a traumatic 24-hour shift, he poured his emotions onto a computer keyboard. His heartfelt letter of “impressions” has been circulating through e-mails and recently landed on the Augean Stables blog. Dr. Wiesel connects to readers as he describes hours of frantic surgery, going from one patient to the next, with some dying beneath him. At least 50 people were injured in the attack just before 2 p.m.
Dr. Wiesel’s casual wording and grammatical slips give the letter a sense of authenticity and honesty; what one would expect if a friend dashed off a letter in a rush. What’s particularly remarkable about Dr. Wiesel’s letter, however, is what’s missing from it: Hatred. That’s it. He calls the Palestinian suicide bomber, a 21-year-old college dropout named Sami Hammad, a “devil.” But like most Israelis, Dr. Wiesel never expresses hatred toward the Palestinian people; only those engaging in terrorism: Hamas, Hezbollah, al-Qaida. Dr. Wiesel’s lack of hatred is impressive in light of what he’s just endured and because of what he surely knows; that most ordinary Palestinians may not be actively involved in terrorism, but they nonetheless admire “martyrs” such as Hammad - a reflection of what years of being saturated with hatred in schools and through mass media have done to Palestinian culture. Building a healthy civil society and democracy depends on many traits, including self-criticism. But among too many Palestinians, the tendency is to blame others rather than to look inward to fix problems. I'm struck by how Palestinian workers regularly fume over temporary border closures and increased security checks following a terrorist attack. But who do they blame? Certainly not the terrorists; they blame Israel. Similarly, many Palestinians characterize Israel’s security fence as part of a plot to disenfranchise them. Few seem to acknowledge Israel’s need to be free of suicide bombings, which the wall has in fact reduced. Whether this lack of self-criticism is hard-wired into Arab culture or due to the region's lack of democracy is another question, one now being tested in Iraq. What's undeniable, however, is the difficulty of reaching an accommodation with a person or culture gripped by hatred and lacking self-criticism; both flaws feed upon and strengthen one another. In contrast, Israel's culture has produced a free press full of varied viewpoints and self-criticism. By democratic standards, it's a measure of strength, although radical Islamists may think otherwise. Until the “civilized world” eliminates terror groups such as Hamas, Hezbollah, and al-Qaida, Dr. Wiesel observers, there can be “no visible solution” to the conflict. He concludes with an “optimistic” prayer - that blast victims “will be better soon, and hopefully the white dove signaling Peace will be flying again here in ISRAEL."